Malaysia and Singapore are the top two holiday destinations in Asia, if not the world. Both these nations are very tourist friendly. The attractions in Malaysia and Singapore are just too many. You require a minimum of 7 days to see all the attractions and to do all the fun activities especially if you are traveling with family. 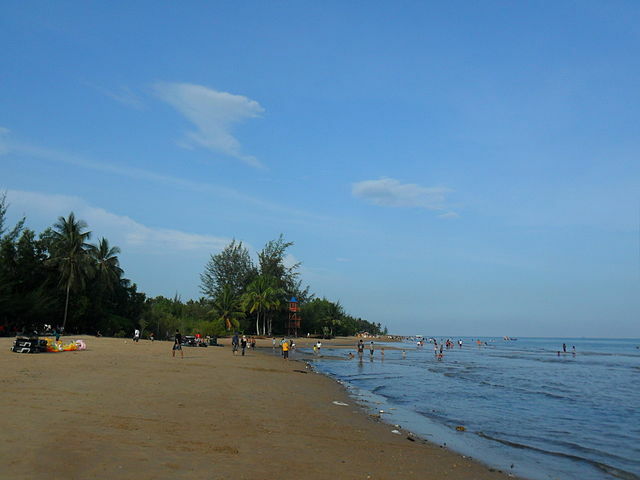 In fact, I would say both these beautiful nations are ideal family-friendly vacation destinations like Borneo Island. For wildlife enthusiasts, Malaysia scores a few points over its counterpart Singapore. 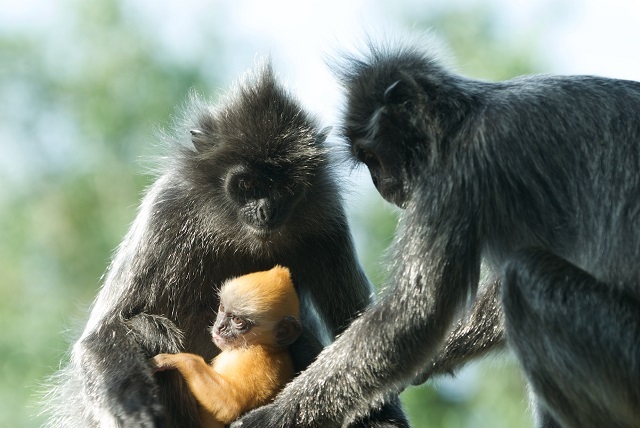 While the later is known to attract tourists of every age with its stunning Jurong bird park, the former is liked by animal lovers for its wide range of animal sanctuaries, the most number of animal attractions in Borneo Island, Malaysia, being the Orangutan. Let us go on a virtual wildlife safari in Borneo, an island in the Malay Archipelago that comprises of a staggering 25,000 islands and islets. I mean, Borneo’s three different regions belong to three different countries. I think it is enough you know this much about Borneo Island’s geography in order to visit it and watch the wildlife in Borneo Island. What is your starting point for Borneo Island wildlife safari? Sandakan city that is part of Malaysia’s Borneo on Borneo’s eastern coast is your origin of Borneo wildlife tour. If you want to see the wildlife in Malaysian Borneo, book your flights from Kuala Lumpur or Singapore to either Kuching, the capital of Sarawak state of Malaysia or to Kota Kinabalu, the capital of Sabah, another state of Malaysia. 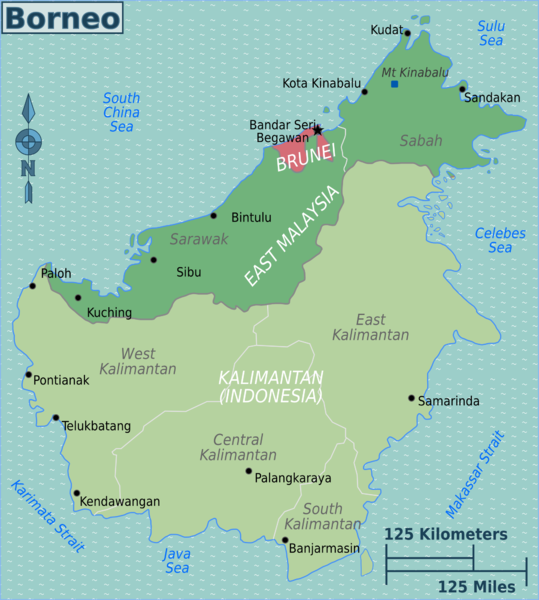 Both these Malaysian states share a part of Borneo Island. When to travel to Borneo Island for wildlife watching? Wildlife watching is as such a lucky venture. In order to see them, you must choose the right time when they wander freely in their sanctuaries. 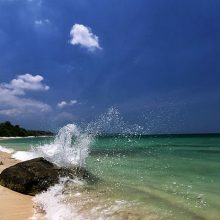 The best time to travel to Borneo Island is from March to September when there is not much rain. What are all the major wildlife watching spots in Borneo Island? Kinabatangan River-it is the second best spot to observe Bornean wildlife that includes orangutans, silvered langurs, pygmy elephants, proboscis monkeys. For bird lovers, there is the majestic and big hornbill. 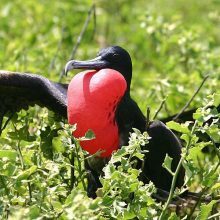 It is a delight to watch hornbills in their natural habitat. If you are game enough to take a night walk in the forest bordering the Kinabatangan River, you can be lucky to see nocturnal wildlife such as the civets, slow loris, and western tarsiers. Be prepared to walk at least 4 km in the night to have a thrilling experience of nocturnal wildlife hike. 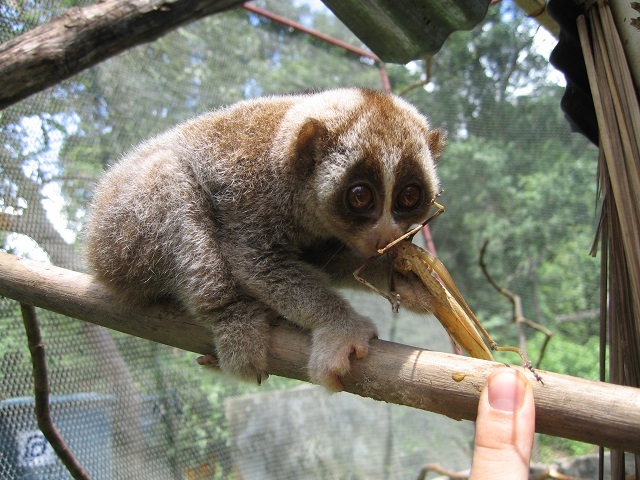 Tabin Wildlife Reserve-watch out for flying squirrels, leopard cats, Bearcats, and marbled cats. 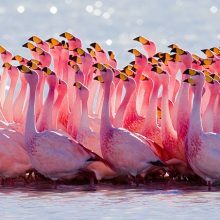 It is known for over 200 bird species. Do you know Orangutan can only be watched in their natural homes found in Borneo Island and Sumatra? Where to spot the Bornean cloud leopard? Where to watch the Pygmy Elephants in Borneo Island? To see a herd of pygmy elephants ( I think they are not too dwarf to call them as ‘pgymy elephants’) visit Danum Valley. During your short boat ride in the Kinabatangan River, you may make a close encounter with pygmy elephants. 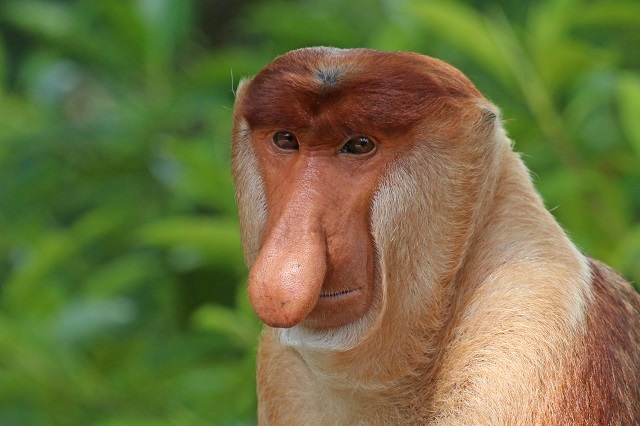 Proboscis monkey, Borneo Island wildlife. What a strange looking monkey-eh? 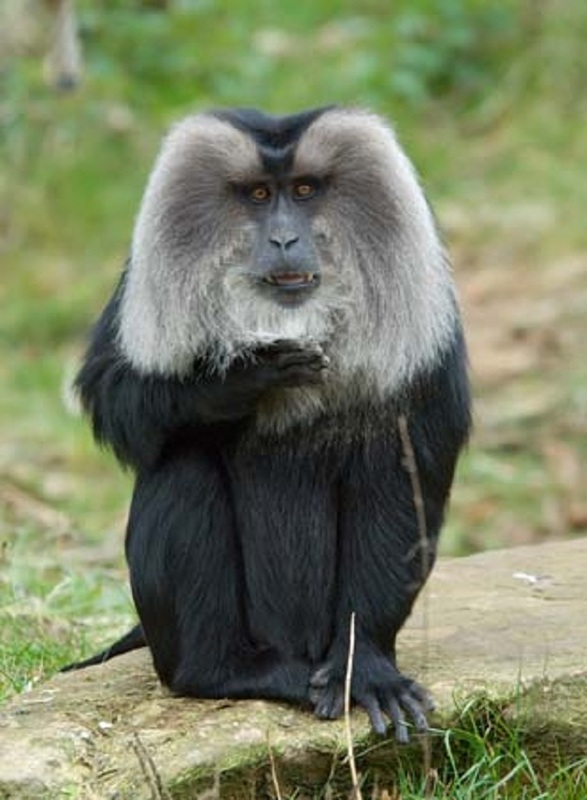 That long snout looks so unnatural for a monkey. The proboscis monkeys are endangered as of now. They go by another name in Indonesia as, ‘orang belanda’. You can watch the proboscis monkeys in Bako National Park and in the Danum Valley region. 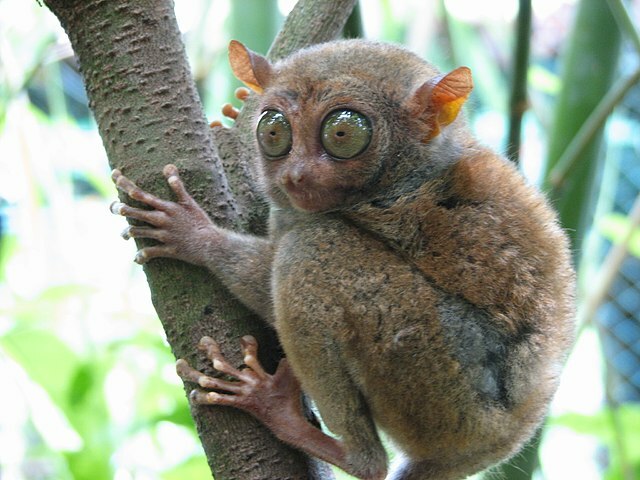 Oh, look at those disproportionately big eyes! It is definitely rare these days. 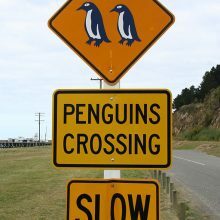 I think they are endangered. They eat ants only. 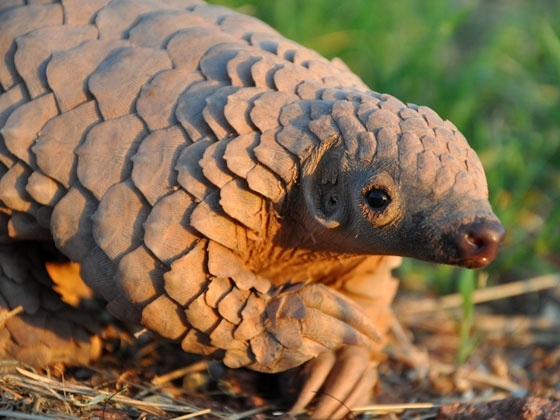 The pangolins can be spotted in the area surrounding the Kinabatangan River. Some tourists have spotted the pangolins in Bako National Park, Borneo Island. It is a bat with a lemur-like face and hence the name. You spot them during night time forest hike in the Bako National Park. Oh, what a beauty! The shining dark bluish black coat must make it as a great pet. I read they are the smallest bears in the world; however, they surely don’t appear small to me. 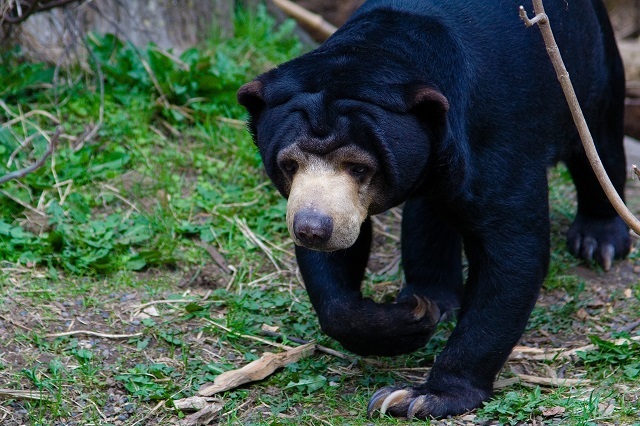 You can spot the sun bears of Borneo at the Bornean Sun Bear Conservation Centre. It is a sanctuary in reality because the conservation center is hell-bent on rescuing these pretty beasts. Orangutans are clearly spotted because of their unique rust-colored hair. Wildlife safari organizers in Borneo will first take you to Semenggoh Wildlife Center to allow you to watch the sanctuary officials feeding them mighty beasts. The feeding time of orangutans is 9 am and 3 pm. 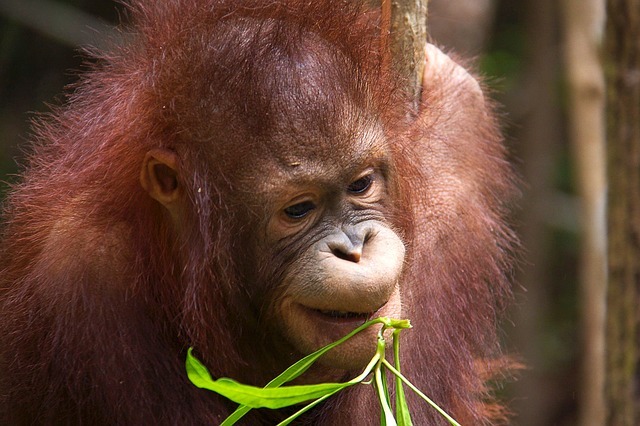 The feeding time of orangutans might get quite crowded with eager children tourists. Whoops! 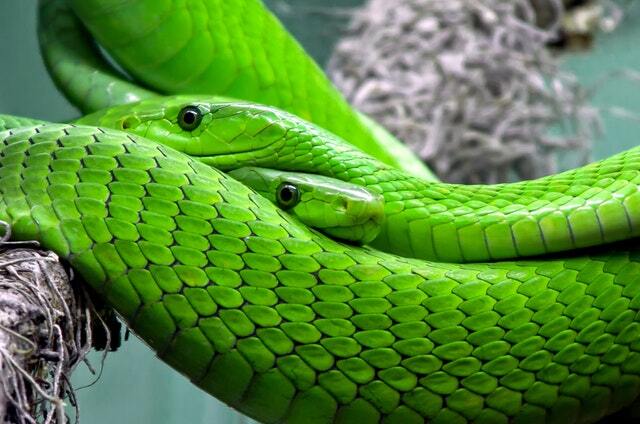 What a striking green snake! I can’t take my eyes off. Clearwater Cave bats-some 3.5 million bats are said to be living in a series of caves in Mulu Caves National Park. Where to stay and watch wildlife during the day and night too? Whenever you go on a wildlife tour, try to stay overnight near or inside the wildlife sanctuaries and rain forests. You may find tree houses, log homes, tents and game lodges. During your Borneo wildlife safari and tour, try to book your accommodation in Sukau Rainforest Lodge. It is built on a superb location on the banks of the Kinabatangan River. So, that’s it, mate. I think the information you read thus far is dizzying. It is advisable to contact a reliable Borneo wildlife safari tour company to make your Borneo travel, memorable. I read that Straits Central Travel and Tour is one such Borneo wildlife safari tour organizer is giving your money’s worth.